Situated in Yukon, Oklahoma, this hotel is 15 miles from downtown Oklahoma City. Guest rooms include free Wi-Fi and an indoor pool is available at the hotel. 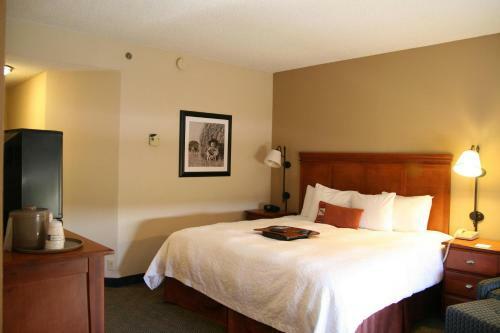 The rooms are also furnished with a coffee maker, microwave and refrigerator at the Hampton Inn Oklahoma City/Yukon. Cable TV with pay-per-view movies is available in the rooms as well. The Hampton Inn Yukon offers a gym and a business center. Free parking is possible at the hotel. Will Rogers World Airport is 15 miles from Yukon Hampton Inn Oklahoma City. The hotel is nearby many restaurants and shopping centers. 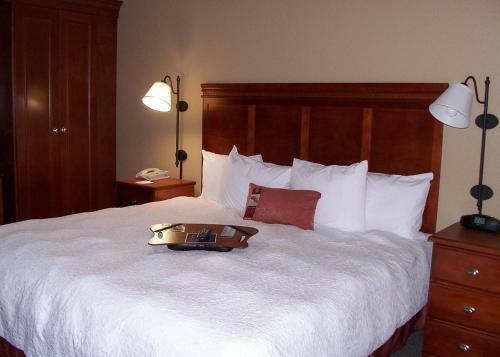 the hotel Hampton Inn Oklahoma City/Yukon so we can give you detailed rates for the rooms in the desired period.